It actually ended up being quite a bit of work, but I learned a lot and had fun. Lindsay and Marshall are a laid-back couple so it was easy working with them. 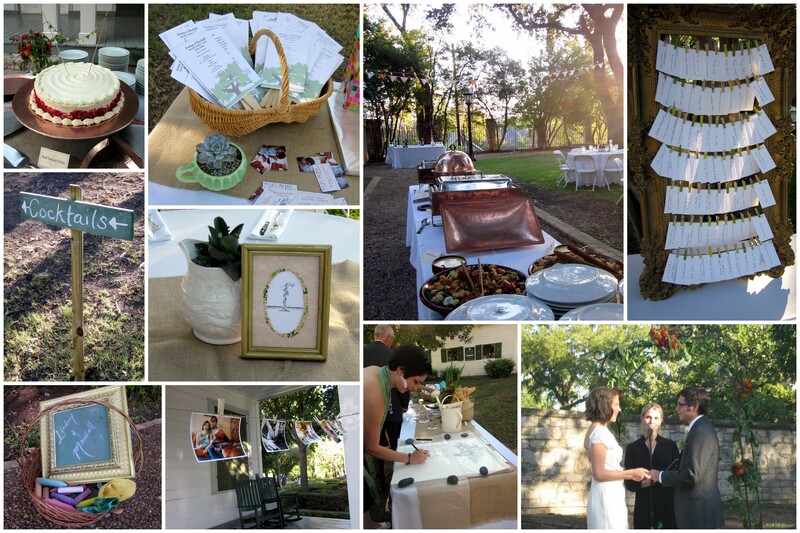 Before the wedding, I talked through ideas/plans with Lindsay, created a DIY project plan, made sure Lindsay stayed on top of her tasks, and confirmed all the details during the final walk-through. For the day-of, I mounted the place cards to the frame; organized the seating chart; brought, set up, and took down all the decorations; created assignments for the helpers; made a quick Mr. and Mrs. signs (directions below); ensured the layout, vendors, and schedule were executed as planned; and addressed the little snafus that popped up. I was lugging around my binder of important papers (e.g. timeline, guest list, seating chart, vendor contacts, assignments, setup map) and duffel bag of emergency supplies—it almost felt like I was a professional. For the Mr. and Mrs. signs, these were the easiest wedding DIY project I’ve ever completed. On 8.5×11 paper, print out the letters for Mr. and Mrs. I used Century Schoolbook font, size 300, with each letter inside a table cell to allow equal spacing (two letters per page). With a paper trimmer or scissors, cut out the letters to 4×4 inches. On cardstock, cut out 5 squares, 4.5×4.5 inches. Glue or tape the letters to the cardstock. Punch two holes at the top of each letter. 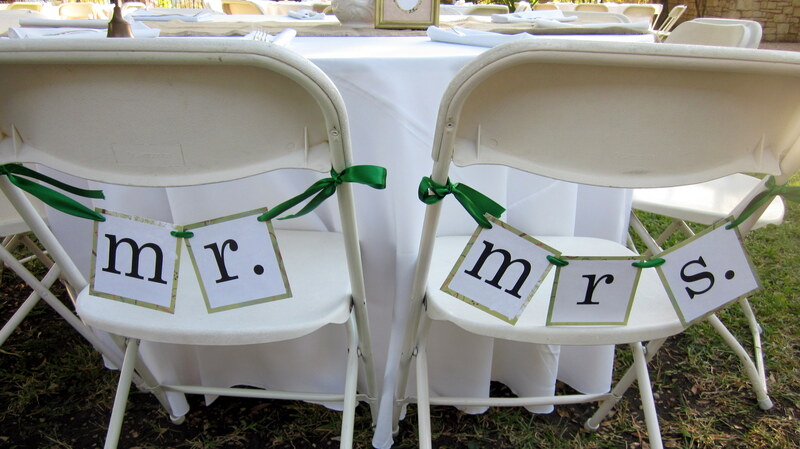 String ribbon through the holes and tie to the bride and groom’s chairs. Just a 15-20 minute project. Determine backup plans due to weather, supplies, etc. Lindsay and her mom kept thanking me for all my work throughout the night which made me feel special and effective. I can’t wait for my next wedding DOC opportunity! 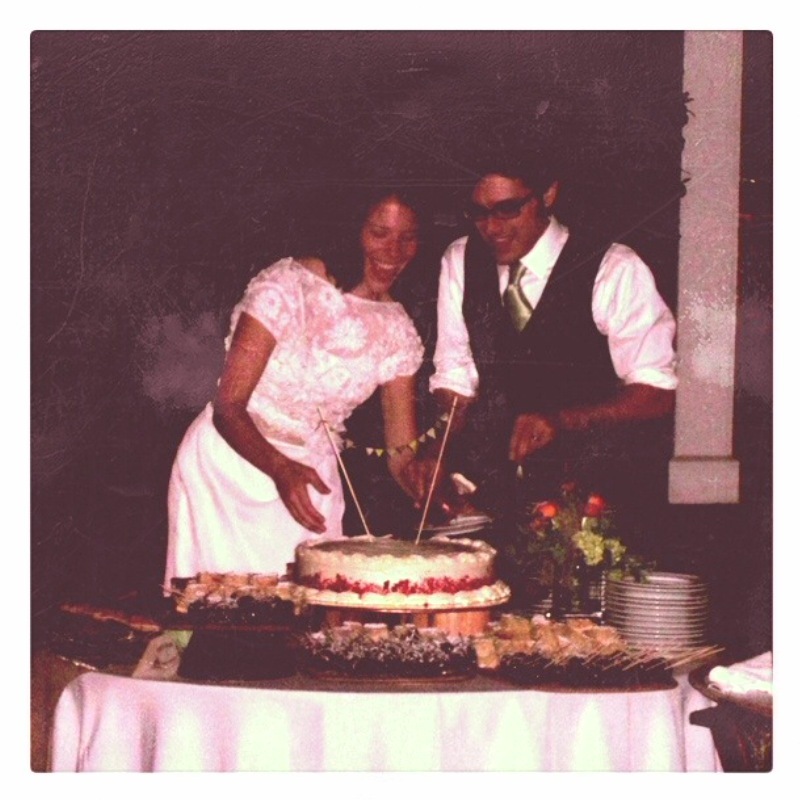 This entry was posted in Weddings and tagged DOC, French Legation Wedding. Bookmark the permalink.